I remember being 14 and knowing everything. Seriously, I knew exactly how the whole world should work, from the governance of nations to my own curfew. It was absurd to be constrained by my parents, because they didn't know everything, like I did. I was right about that, at least: my parents didn't know everything. But unlike me, they were aware of that fact. They were aware of change and complexity. They were also aware of how little I actually knew, based on my claim to know all! The Greek philosopher Socrates said that wisdom is knowing that you know nothing. This paradox was the seed for western philosophy, including the open, skeptical attitude that characterizes the best science. But sometimes our scientific and technological prowess causes an adolescent arrogance. For example, consider sulforaphane. Sulforaphane is an antioxidant, anti-inflammatory molecule in cruciferous vegetables (broccoli, kale, cabbage, etc) that has recently attracted a lot of attention because of its profound health benefits: it kills tumor cells, prevent bad body fat from forming, and seems to stimulate neuron growth. Basically, it will save your life! So what did the scientific, medical establishment do? Worked to isolate sulphoraphane in powdered form, of course. Now you could take a sulforaphane pill as part of your morning multivitamin regimen, for only $59.99 per one-month supply. I used to lift weights often, and drink lots of protein powder. I used to take multivitamins. More often than not, my urine was radioactive yellow, even if I was hydrated. My kidneys were busy, busy, busy, flushing all of the excess, isolated protein and vitamins out of my body, because I couldn’t absorb everything. Not so long ago, scientists believed that if we got enough protein, carbohydrates, and fat, along with a few minerals, that would fulfill all our nutritional needs. Then vitamins were discovered. Then, even smaller than the vitamins, came the antioxidants, the Omega-3 fats, the probiotic bacteria. What's more, the uptake and usage of these nutrients is much more complex than simple absorption, a la gas in a truck. Most nutrient chemicals interact with other nutrients (vitamins A and E, for instance, are soluble only in fat, not water), and are broken down by thousands of various enzymes. Yeah, it’s complex, and our most complex ideas and notions only scratch the surface of what we have yet to discover. All of this would cause a wise person like Socrates to shake his thoughtful head. The philosophy of mainstream nutrition is like that of a 14-year-old adolescent: we think we know everything, and that thought proves that we know nothing. It seems possible that sulforaphane pills would cause expensive yellow pee, like protein powder. 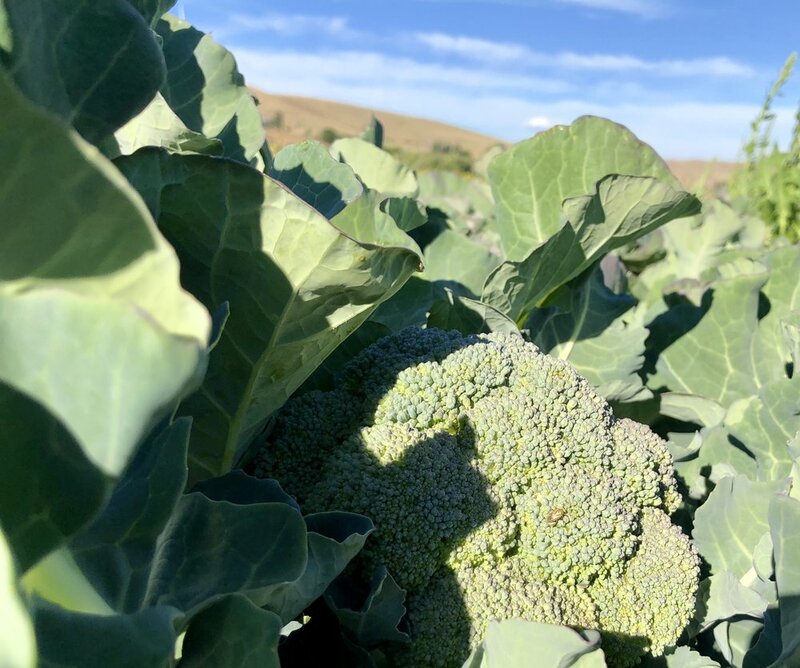 On top of that, it cannot replace the wonderful experience of eating roasted broccoli and garlic, nor the panoply of as-yet unrecognized beneficial nutrients that must exist within broccoli's green florets. To obtain the molecule’s miraculous benefits, then, we should eat the whole food that contains not only the appropriate amounts, but also the complementary enzymes that make it available for digestion. We should eat more broccoli. What’s more, we should probably eat more organic (or beyond organic) broccoli, because sulforaphane is produced by plants as a defense against insects, and if a plant is coated in pesticides, then it probably wouldn’t need to produce the miracle molecule. More research on this topic is being conducted by Spoon Full Farm’s super-ally Sally Landefeld (@SalYourSciencePal) at the UW. And so, here’s an approach to nutrition that is wiser, by Socrates’ standards: eat a good variety of whole, organic produce from your local environment. Along with getting enough sleep and some exercise, that’s the best thing you can do for your body’s (and brain’s) health. An ounce of prevention is worth a pound of cure. On that note, know this: the broccoli (and kale!) in this week’s CSA box is amazing for your health, because it has plenty of fiber, vitamins, minerals, antioxidants, and… who knows what else!